So even snow boots are made to be orthopedic. 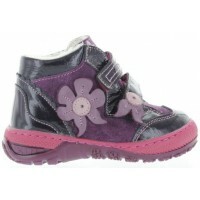 No other kind is produced because footwear is regulated for kids in Europe. 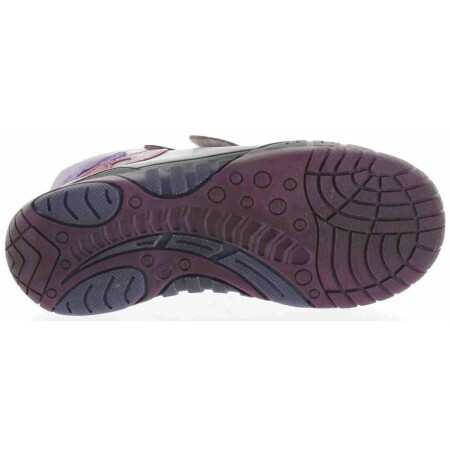 They have it all - look and functionality with orthopedic support added. They are light in weight, good soles for snow traction. 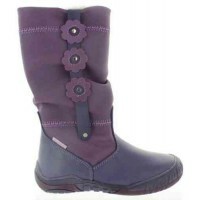 Lovely purple color and best leather used. 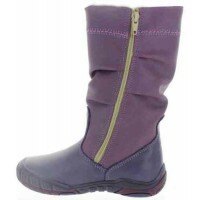 They are lined with waterproof lining gortex and inside real wool is added for warmth. Child will never have wet feet in those boots nor they ever leak water. You can go ski in them if you like. 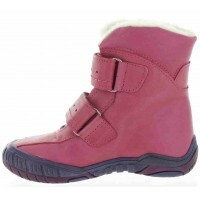 Snow boots for kids have to be light in weight. Rubber snow boots are horrible for kids feet, since they are too heavy. Over time child walks pronated and parent wonders why....from those heavy rubber snow boots. 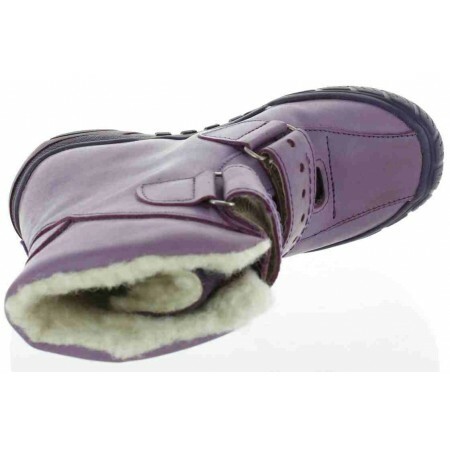 Another important factor is heel support that every snow boot has that it is made in Europe. They cannot be soft at the heel since kids feet ankles will collapse. 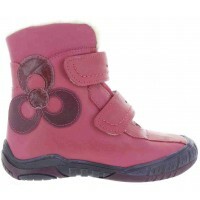 Good example here are UGS - they are crap shoes that destroy kids feet. Look at images attached, is that supportive? Child's ankles are turning inwards and pigeon toes develop. Pigeon toes from oversized soles those UGS have, they are too wide and not measured for kids feet. Soles on all European shoes are measured for every size and they adjusted to child's foot so they form foot correctly. Orthopedic ares are added to those soles as well. They are companies in Europe that manufacture soles only for all the shoes in Europe and their job is to properly fit them. So as you can see - time and money is spent on proper measurement, manufacture of those shoes. That is why they cost money in Europe, shoes are not cheap in Europe and they never have been even years ago. Good shoes are a must for a child since their feet are formed by them. Top rated orthopedic shoes for kidsBest snow boots that you can buy for a child - literally. Entire line of footwear for kids made in any country in Europe is orthopedic. No other shoes are allowed to be manufactured. The reason is that footwear for kids have ..